One of the first photographs of Chesterfield taken in the 1870’s or earlier, showing the river Hipper flowing through Maynard’s Meadows past the bottom of the yards of the Dog Kennels area. Evidence of some of the past and forgotten industries is shown. In the centre is the chimney of Mason’s tobacco cutting factory on Wheeldon Lane. 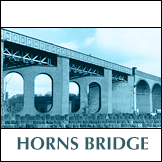 The factory building on the edge of the river was Holland’s lace mill at the bottom of Froggatts Yard. The mill closed in 1848 but was reopened for lace making by Francis Hurst & Co until that too failed and the building became a lodging house. 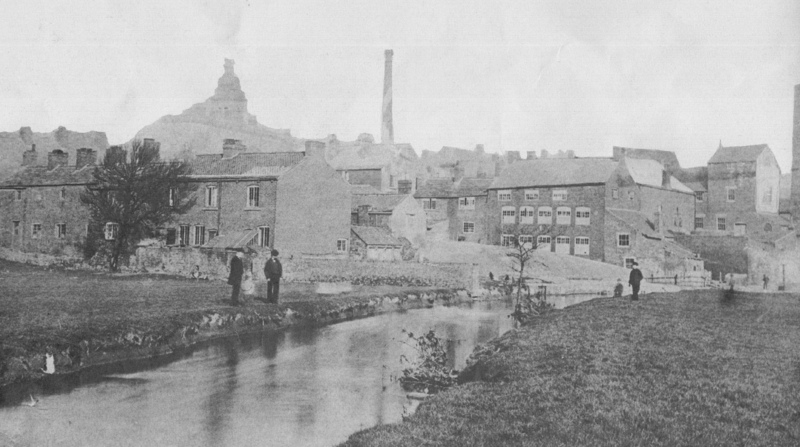 The building on the far right (left of chimney) at the bottom of Wheeldon Lane is thought to have been the old Wheldon Hall which was rebuilt as Waterhouse’s Lace Mill. 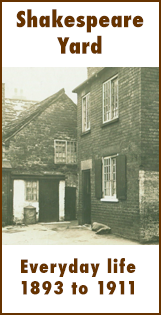 On the left of the photograph is a row of houses at the bottom of White Horse Inn Yard. The houses in this yard are said to have been occupied by the makers of beaver hats, once a flourishing trade in the town. In the background, clearly visible is the Market Hall. 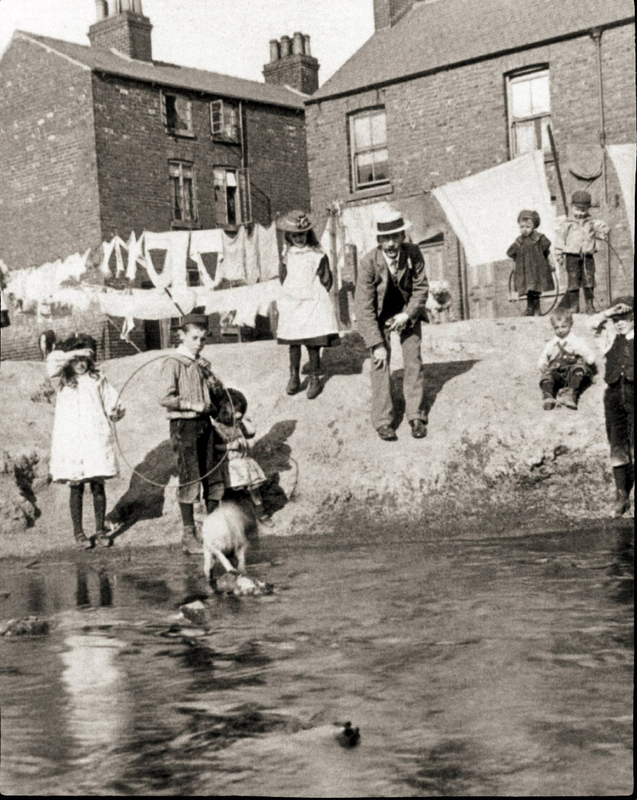 Children playing on the banks of the River Hipper in 1901. The position of this photo is marked on the map as number 9.